Vladimir Corbin lives in the South of Germany. He is our new mix resident, presenting regularly a fine DJ set on our DIRTY MIND MIX Show. 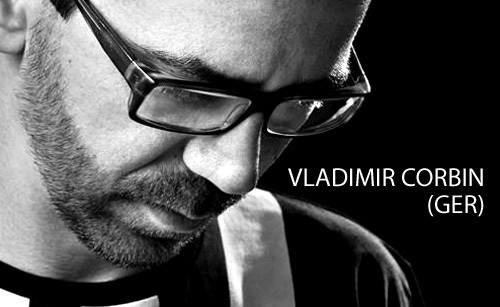 Time to get to know Vlado better! We met first time around the year 2000 in Stuttgart/Germany. I was the webdesigner of "M1 The Club" and you worked for “Sub Culture”, an important nightlife magazine. What happened from then until now? Beatmarket is my booking agency with great artists like Kolombo, LouLou Players, Alma Gold & Citizen Black, founded in the beginning of this year. What is your setup when you are deejaying? Do you use Records, CDs, Laptop, Software, Effects? Why? My big love for years was spinning vinyls but with the beginning of longer travels I changed to CDs. It’s much more easy to travel with a small bag than with 30 kilos of vinyls and sometimes I hear my back saying “thank you”. For me playing music is like a hand trade and so there is no controller or software giving me a hand. The most used setup is a Pioneer DJM 1.000 and two Pioneer CD-J 2.000 together with my Philipps hdd120 mp3 recorder. We really like the track selection of your mixes on our internet radio. Describe your style, how do you select the tracks and what is your source for good music? Thank you! I’m listening to a lot of music to find the tracks for my mixes. In getting promo tracks, listening to soundcloud and different platforms, it takes a lot of time but work will be done. My style is somewhere between dirty, groovy deep house and some catchy techhouse. The most important substance of good music is a groove and some melodies that causes a grin on your face. I love to see happy people on the dancefloor! Do you use social media for self-promotion? I think these days it’s nearly impossible to promote yourself as a music artist without being a part of the most used social platforms. So yes, I use them and share my music and news. Best House DJ / producer: one of the best sets I’ve ever heard was the set Jesse Rose played during my Tonsport event in Colibri, Stuttgart on 07.07.2007 and he’s also a great producer. I have never been asked: why the hell are you not moving from your little hometown Esslingen (near Stuttgart) to a bigger city? Everyone who loves the familiar feeling in such small cities knows what I would lose in doing that. My family lives here, all my friends and I know every damn corner and street in this town. Why should I move in a big city to be among all the foreign people?